Cut the pork into pieces and cook in salted water. Grind coriander, chilli powder and cumin seeds together. Grind the garlic, button onions and ginger together. 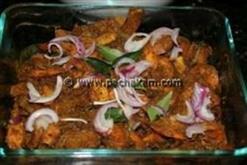 Fry the sliced onions in dalda till golden brown. Add the ginger-garlic-button onion paste first and then add the other paste. Fry well and add the tomatoes. 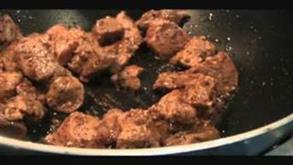 When the liquid from it dries up, add the cooked meat, vinegar and sugar. Mix well, add water and boil. When the gravy is thick, remove from fire. yummy..i made it..it turned out really good..my husband tried making it..well it dint taste the same,i guess it is the way you cook it,this is one of the very few recipes where there is no turmeric and garam masala yet good,try cooking the meat with all the spices. I tried it today and it does not taste excellent as some of them has said. It was so simple to prepare and tasted awesome! Thanks to Pachakam.com. 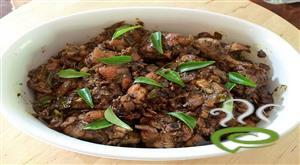 Excellent recipe.... My family enjoyed it.. I put only 1 tsp of chilli and 4 tsp of coriander powder..It came out very nice. not that much good.just average one. 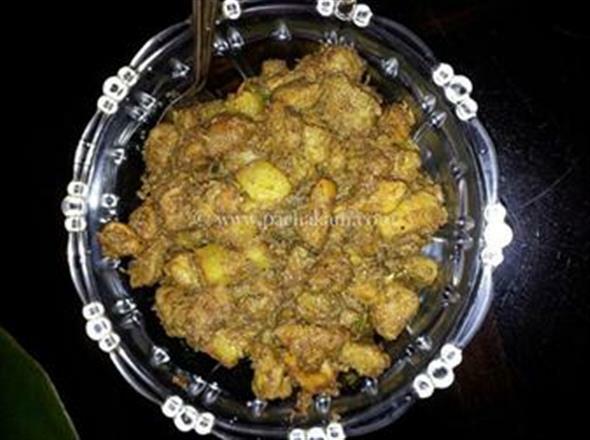 Adipoli curry!! We were trying pork for the first time in Japan and many thanks to your Recipe, it came out really good. thankyou ma`am.it`s a really tasty dish. Yah ! really I like it. better with hot drinks !!!!!!!!! We tried this. It was very nice. This dish was amazing.My whole family loved it.Thank You. We tried this. It was really good. 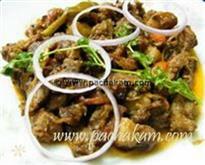 After tasting your Kottayam style beef fry we could not help trying this out. I must say that it is simple and tastes fantastic. Again please do include more detailed instructions as my friends are not getting the same tase with the same recipe as they are not good cooks and do not know how to read in between lines. Hope you keep including more recipes in pachakam.com. Cooking the pork in salt water is a brilliant idea.